It’s funny how you suddenly find yourself smiling for hours, listening to a song over and over again, remembering and reminiscing a lot of memories from your head. Suddenly you just happen to listen to the right song that successfully triggers all those happy memories back, happy memories that happened in one period of time. It started all the way back to 1999. Have I always been interested in learning Spanish? The answer is actually NO. It was an (eventually blessed) influence from one of my best friends. Even though I was a big fan of almost all telenovelas that were aired on local TV here, I had no intention at that time to learn the language. It was because all those telenovelas were dubbed in Indonesian. Until one day, my best friend came to me and asked whether I was interested in learning Spanish and would be willing to study together with her. My response was simple, Why? — My friend gave me an even simpler response…. Ricky Martin!! —– Whoa!! Who didn’t know Ricky Martin back then? The voice that highlighted the 1998 World Cup’s spirit in his song La Copa de La Vida, which was broadcast at every corner in Jakarta every 5 minutes!! This is how I remember what my friend said to me, “Look! If you speak Spanish, you will increase your chances to meet guys like Ricky Martin and will not have any communication breakdown! You won’t be stuck with only English!” (Our disclaimer: We didn’t know that Ricky’s not into women at that time.. *lol*) “They also have very interesting culture, like the dance. We should also take Salsa classes. You notice that from the telenovelas, right?” She continued. Having a polyglot father who spoke fluent English, advanced German, intermediate Russian, and basic Japanese, I thought I’d give it a try. There was nothing to lose and nothing wrong in learning a new language. So, there came the next questions. Where could we study? and How much? My friend contacted the Spanish embassy, but she got yelled “NO!!! WE DON’T HAVE ANY SPANISH COURSES!! !” by whomever answered the phone. We eventually found a Spanish course in Senopati area, which was not that expensive, and so we registered. 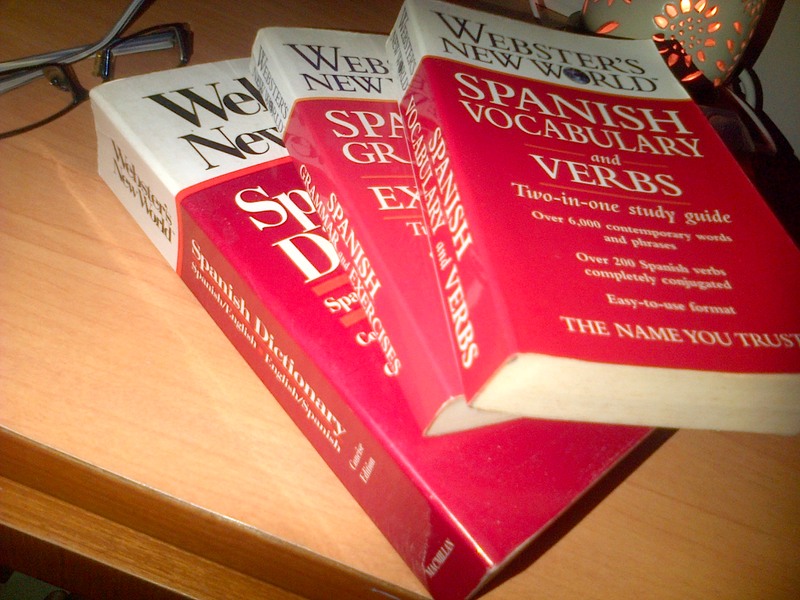 As we started learning, we found that Spanish language was, and is, very interesting. It is soooooo different with either English or Indonesian. We had our challenges, especially dealing with the never-ending changes of conjugation verbs and a lot of new vocabularies to memorize. Furthermore for my friend, she also enrolled in Salsa class, while I didn’t. Not enough money at that time *lol* Nonetheless, I went to accompany and wait for her during her Salsa class. At least I got to watch the steps and tried them myself at home. And boy did we have a lot of fun! We went to salsa club a lot! We practiced our basic conversations in Spanish anytime we could! Even if we had made mistakes, nobody would have known! Who else spoke Spanish in Jakarta back then?!? We also went to Mexican/Spanish restaurants anywhere we could find! It was like, I happily opened another part of the world that I never thought I would and could reach before. I had quite a lot of Spanish chat friends from USA, Mexico, down to Colombia, and even further down to Peru! They appreciated my broken Spanish as they themselves never thought that an anonymous person from Indonesia, a country they never knew existed, was learning their language. This was a perfect combination. In classes, what I learned was grammar, grammar, and grammar. In chat rooms, I got to know slang, slang, and swearing words *lol*. Also, from some of my chat friends, I received several cassettes, yes, still cassettes!! of Salsa songs in English and in Spanish. In return, I sent them some Indonesian cassettes as well. This went on for like a year! I managed to complete two levels in Spanish class and was about to continue to level three when I got very good news!!! Previous Post Apa sih Bahtera itu? Kayak My Red Victorinox Knife and I gitu ya?